A final “bigger” week of training in the books for me. The last 2 weeks before the race we will begin to taper with a cutback on weekly volume and length of workouts. For this week my focus was on keeping my energy levels as high as I could, and getting one more really tough workout in on Sunday. The week began with a single 12 mile run Monday morning, followed by our newly implemented Monday strength session at HYPO2 at 10am. It was a bit of a busy morning, but I certainly savored having the afternoon off; spending quality time with Annika who had the day off. On Tuesday I had a 10 + 4 double, with some light drills and strides after the second run to prepare for a little track session Wednesday. The session wasn’t very hard aerobically or on my legs; but it was a great opportunity to focus on my foot strike. Last Sunday I got to see world famous (at least amongst elite runners and track athletes) Chiropractor/PT John Ball; who has worked a lot on my hip since I’ve moved back to Flagstaff, but on Sunday focused his attention on my feet. 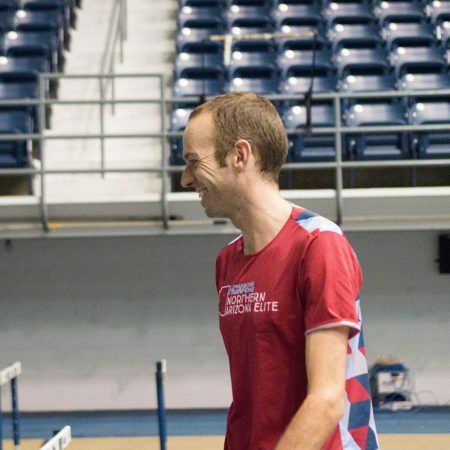 He noticed something a little off in my stride and gave me some exercises to do in order to get me running more efficiently. I’ve been focusing on those exercises and noticing some differences in my stride; and Wednesday’s lighter session was a great workout for me to get my adjusted stride more comfortable. We did 20 by 300 in 52 second average, with a 200 jog between them. My stride felt more and more natural as the workout went along which I took as a great sign of progress. I finished the day with a 4 mile second run. Thursday was another 10 + 4 mile double day, with our team’s second trip to HYPO2 for strength work also included. Friday morning, I had a medium long run of 14 miles. I ran the first ten miles at easy day pace with Ben Bruce, Fauble and Futsum; then picked up the pace a bit when I added on the extra 4 miles by myself. It was nice that the slight change of pace felt natural, not forced; which I’ve always taken as a good sign of fitness for longer races. 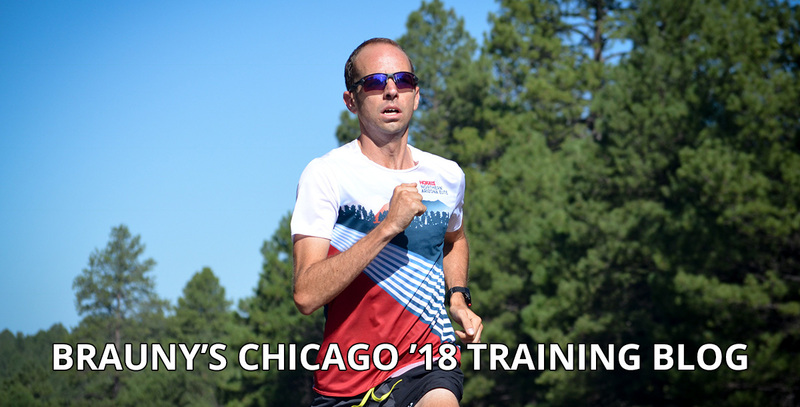 Saturday was another 10 + 4 mile double with light drills and strides to prepare for a big session Sunday morning, my last big workout before beginning my taper for Chicago. I was really wiped out the rest of the day Sunday. My stomach was really sensitive, which makes sense considering I had to deal with an unusual bathroom break and side-stitch. My legs were sore, especially the right hamstring. It didn’t get worse throughout the workout which is good; I expect it should feel fine after a few days of working on it. Despite feeling wiped out, I was very happy with the workout. It was a great way to bounce back after a below average steady state the week before; and was great practice for how I’d like to execute my race in Chicago. I finished the week with 102 miles. 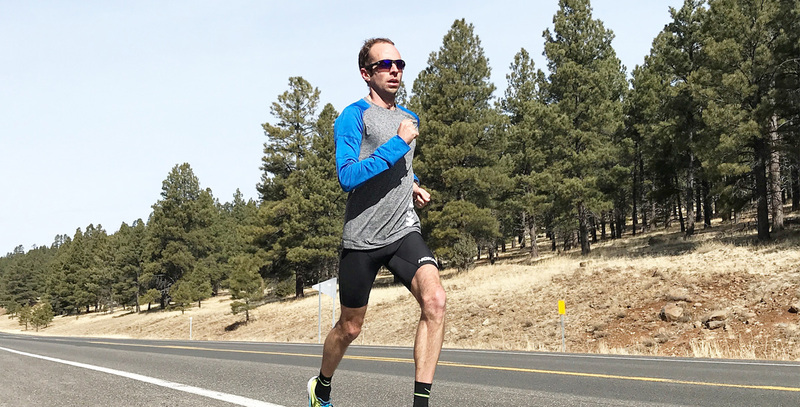 My weekly volume hasn’t been as high as my previous marathon buildups, which is a purposeful adjustment Coach Ben and I have made considering my experience. The nice trade-off with that is that I expect to feel fresher come race day. Which is now just 2 weeks away! Aaron began training with the Northern Arizona Elite team in the fall of 2016 and officially signed on in March of 2017. A native of Fort Collins, Colo., Braun attended Adams State University where he was a 9-time Division II National Champion. He and his wife Annika reside in Flagstaff with their daughters Makenzie and Myla. 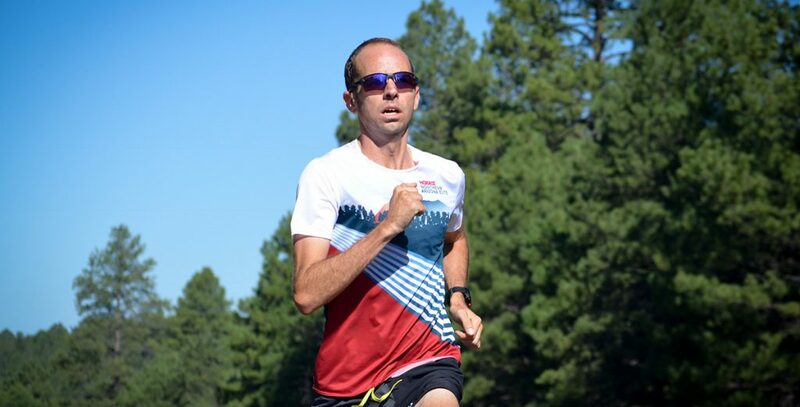 Aaron is one of the most versatile professional US distance runners competing today. 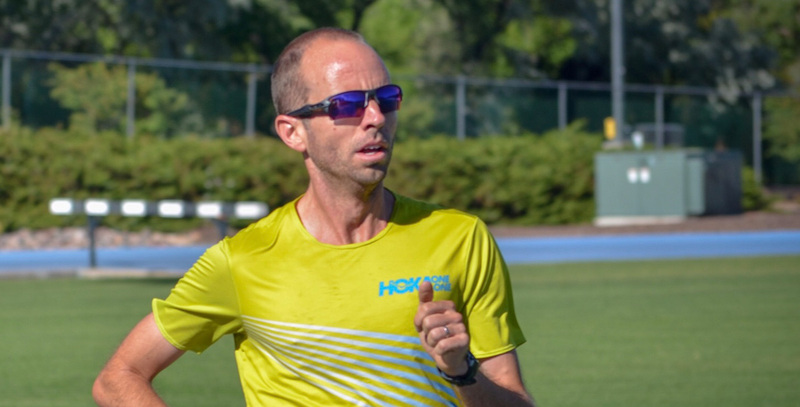 With PRs of 13:20.25 for 5,000m, 27:41.52 for 10,000m, 1:01:38 for the Half Marathon and 2:12:54 in the Marathon, he can compete at the highest level at just about every distance. In 2012 Braun finished 5th at the US Olympic Trials over 10,000m.